The perception of man towards his looks has changed a lot. Today, we see more and more men taking help from beauticians and getting work done to improve on their appearance. The trend can be noticed from the fact that many are getting under the surgical knife to achieve a clean and smooth looking face, whether it is a nose job, or face lifts, or chin lifts. No doubt, the issue of the man's career, character, reputation, and prestige is of paramount interest, however, the matter of looking good is simply irresistible for others. In fact, many people including women also form their first opinion of a person based on his looks lines. Several beauty clinics offer several options of enhancing the image and appearance of the man at a hefty price. It has proved to be quite successful. Not only, about the facial looks, men also go under the knives to create better looking option out of them. Say, some part of his body that is clearly visible and is not happy about his appearance. As wedding remains the most important day of a man's life just like that of a woman, it has become quite important that he is at the best of his presentation including that of his looks. In fact, it is the looks from which a person forms his first impression. 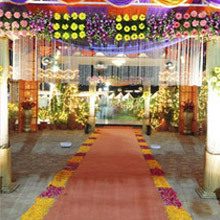 Even more, the groom along with the bride would be at the center of attraction, and one cannot afford to not look nice. Everybody would go at length and up to the best possible to have their looks worked upon to give the best first impressions. Although plastic surgery in a cosmetic surgery clinic may be expensive, it sure is a way to enhance your young looks; in the recent Botox has become quite popular with aging man whose skin's experiences pre-mature wrinkles and fine .